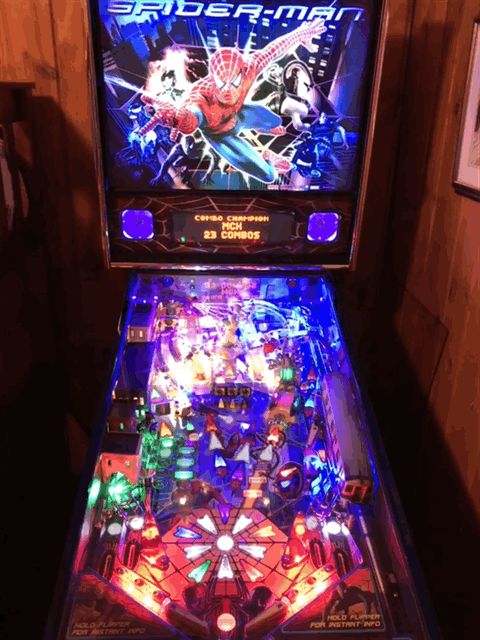 Beautiful, powder-blue Spider-Man (original, 2007), re-listed now with a brand-new color DMD included (not yet installed, but I can install for you if you prefer). 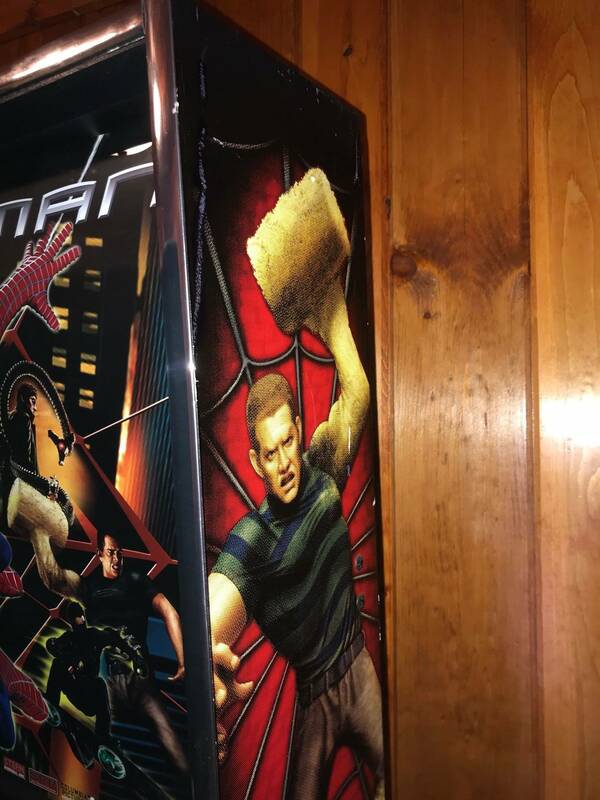 This is a very nice Spider-Man with tons of features included. 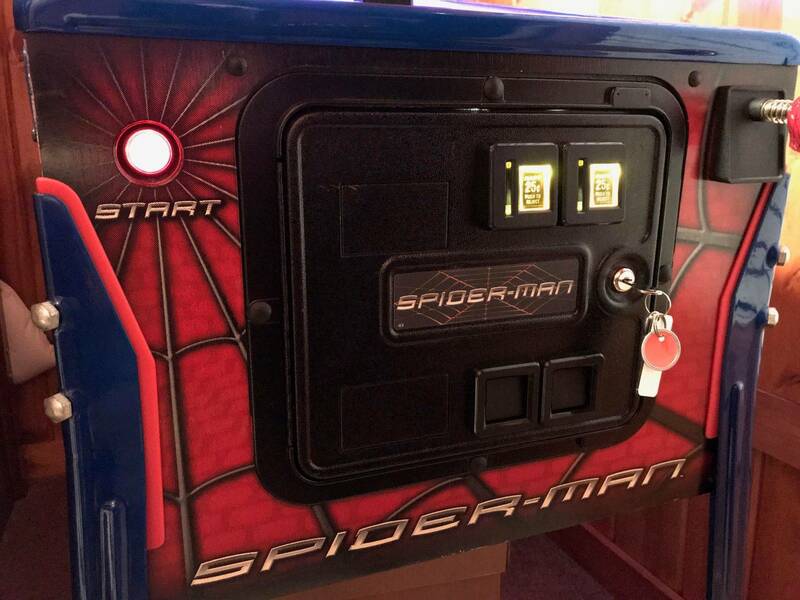 Color-changing backbox/speakers, shaker motor, blue powder-coat legs and frame, $500+ worth of mods from Back Alley Creations such as the subway train, building mods, Sandman mods and custom painted speaker box. 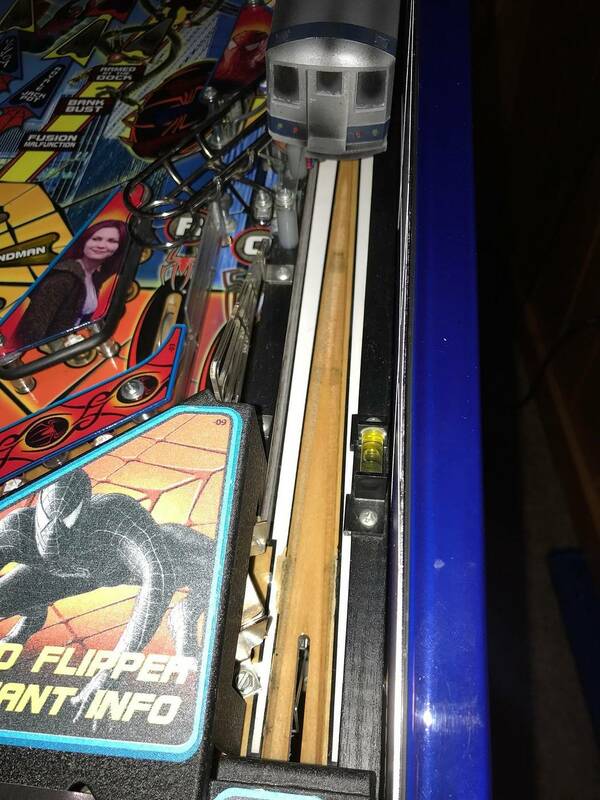 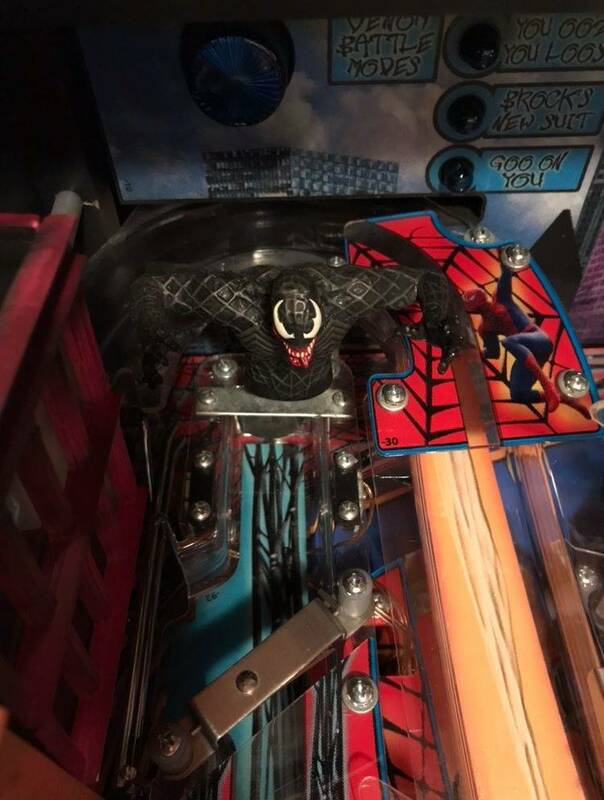 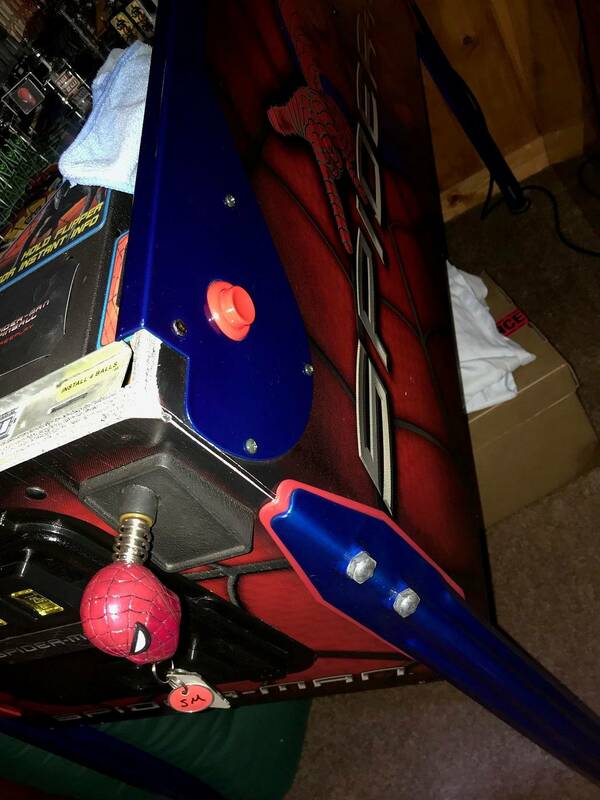 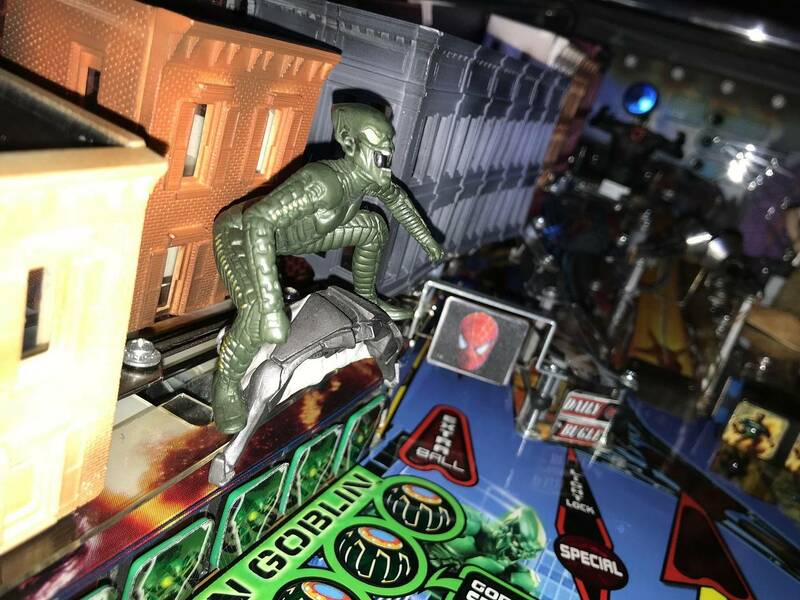 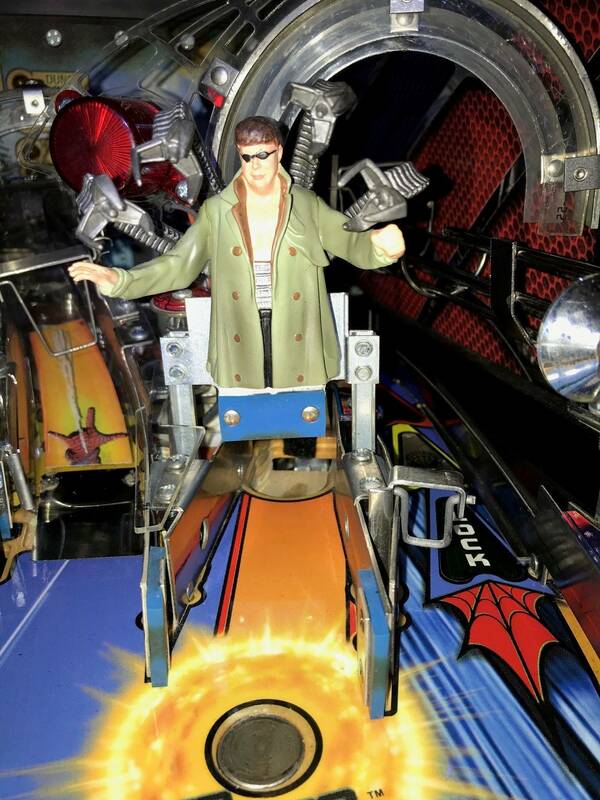 Spidey shooter rod, new pinballs. 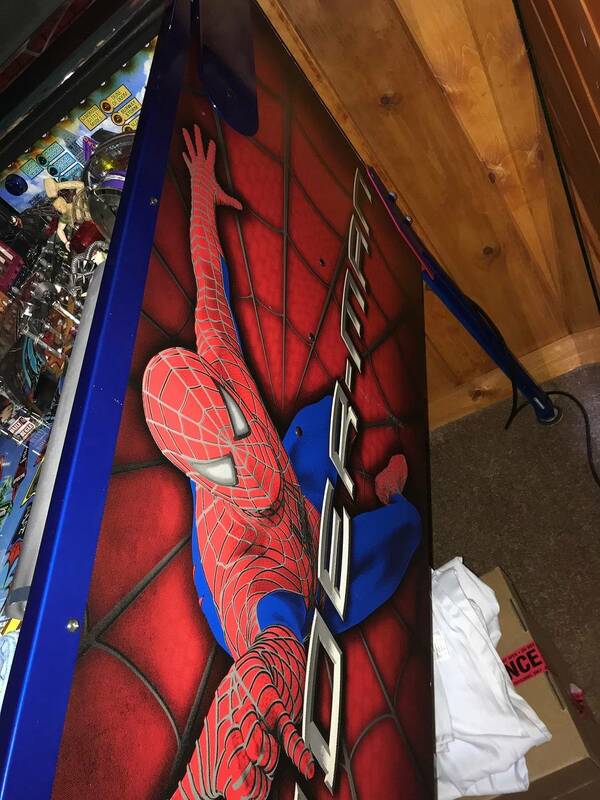 Comes with a new, complete set of playfield decals. 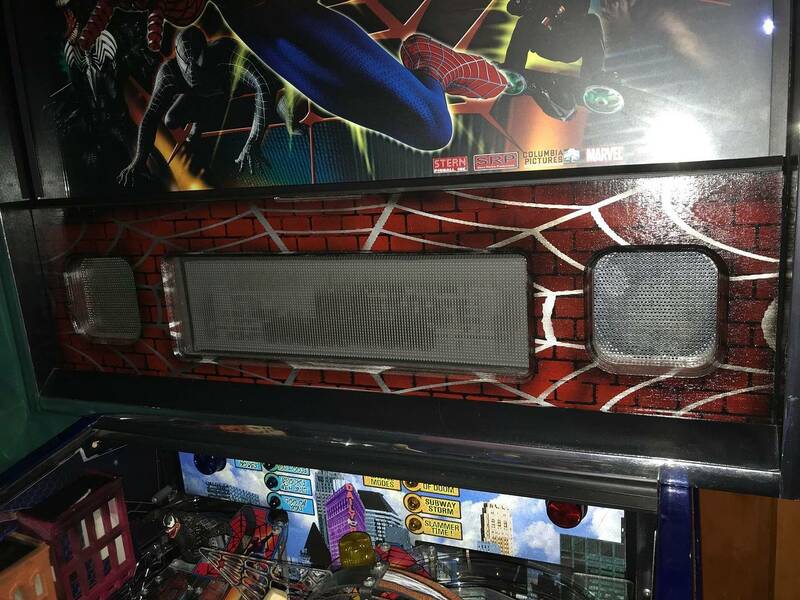 This is a loaded SM in very good condition and plays perfectly. Hoping to make room for a new Aerosmith, MM or Indiana Jones. 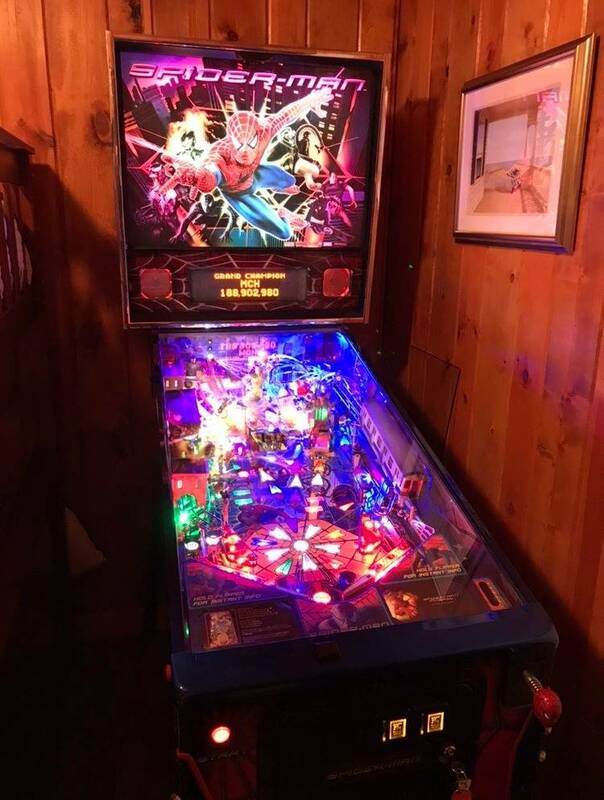 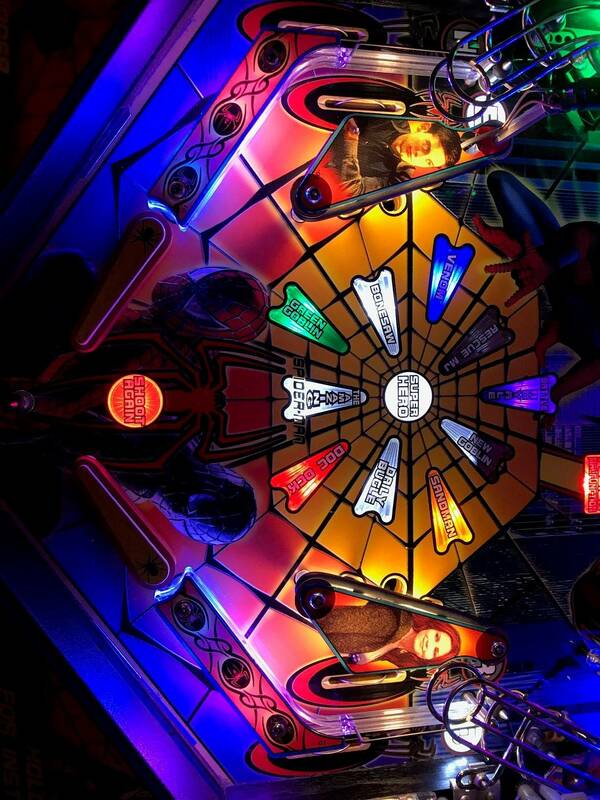 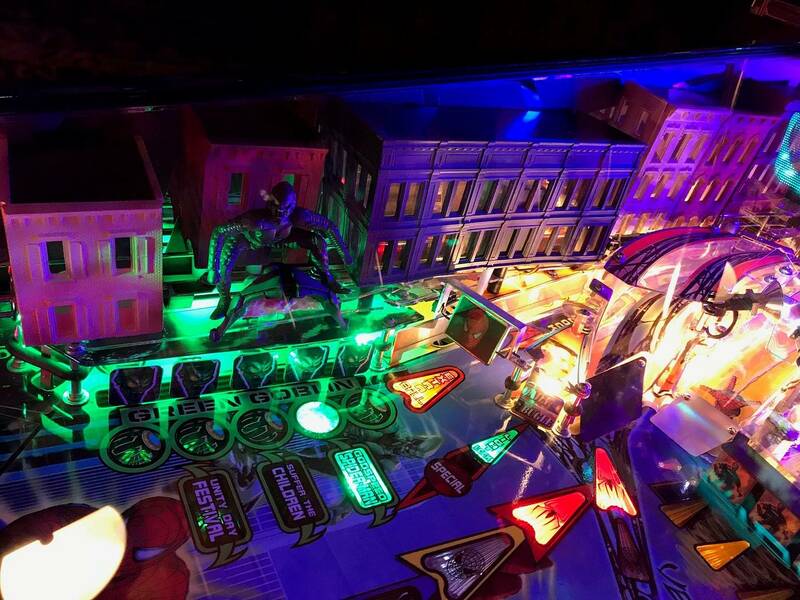 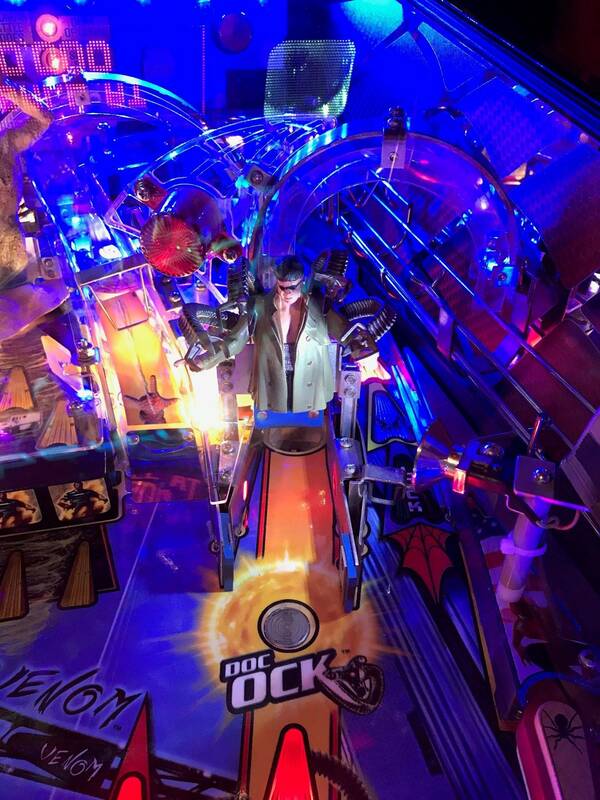 Check out pics or come play it if in Michigan.